Government and the private sector will need to work together to clear regulatory logjams. South Africa’s Mineral Resources Minister Gwede Mantashe, in office since February, is better regarded by the mining industry than his predecessor. But trust levels are still not high and he is having difficulty in landing the sector’s BEE charter. From an initial promise to finalise the charter by June, the deadline has been extended to September. However, if Mantashe includes the clauses opposed by the industry, a further court challenge appears inevitable. Mantashe’s task is not helped by general conditions across the industry. 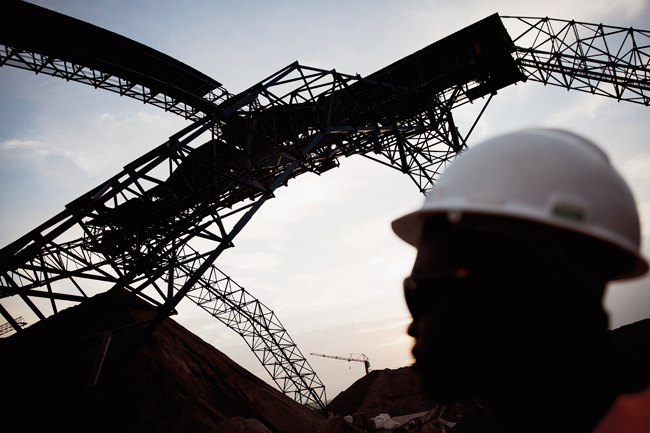 South Africa’s mining sector is officially in recession. Production for the first quarter of 2018 shrank by 9.9% after the numbers also came in negative for the last quarter of 2017 (-4.4%). Figures were down for three of South Africa’s four major minerals – platinum, iron ore and gold – and the fourth, coal, also has issues. This is part of a longer trend, going back to 2015, where South African minerals production has continued to slump in defiance of a recovery in global markets. In June, Minerals Council South Africa (formerly the Chamber of Mines) stated that just ‘one quarter’ of the country’s gold mines were profitable. This includes AngloGold Ashanti’s Mponeng in the North West province. Gold Fields’ highly mechanised South Deep mine in the Free State, however, is among those that have hit hard times. 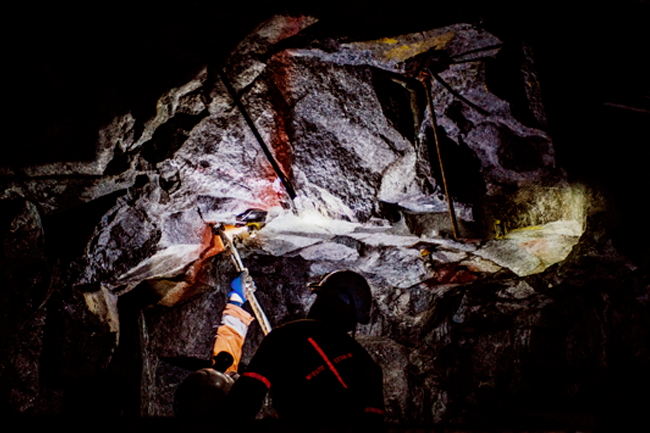 In mid-August, the miner announced cost-cutting measures at the mine. In 2017, South Deep posted a loss of ZAR337.6 million after missing several production targets, despite significant modernisation of the mine. Plans included cutting about 30% of its workforce (around 1 100 jobs). This is a far cry from the glory days of South African gold mining but it is not unexpected. Gold mining in South African has been in long-term structural decline as richer and more accessible ore bodies have been exhausted. The industry, after all, has been extracting the metal for 140 years. Production peaked in 1970 when South Africa mined 1,000 tons of gold (the highest annual production figure for any country ever). In 2017, 130 tons of gold were mined, putting South Africa in eighth place on the list of gold-producing nations, behind Peru (in seventh place) and just ahead of Mexico. The iron ore subsector’s troubles had little to do with operational or even ownership issues and everything to do with six Transnet derailments on the Sishen-Saldanha line, four of them this year. Anglo American-owned Kumba Iron Ore maintains these derailments set it back about ZAR2 billion. The company is nevertheless in a strong position, having achieved considerable cost savings at Sishen, while maintaining a zero-fatality safety record. In coal, South Africa’s largest mining subsector by value (28% of all minerals production), matters look a bit brighter after power utility Eskom’s decision to reactivate the cost-plus model that had been so successful in delivering cheap electricity prior to the 2008 blackout crisis. The cost-plus model requires Eskom to invest in ‘tied’ mines that guarantee feedstock to its coal-burning power stations. Experts warned that neglecting the model would result in a coal cliff, where mining production would be inadequate to feed existing power stations. The coal cliff was predicted to become a reality in 2020. The cost-plus model was abandoned during the tenure of controversial former Eskom CEO Brian Molefe, in 2016, but it was revived in May this year by new CEO Phakamani Hadebe. He was appointed in January as part of President Cyril Ramaphosa’s efforts to reform the parastatal. Hadebe’s first priority is to manage the energy utility over a looming debt hump. If that is successfully managed, the first major beneficiary of the revived cost-plus policy is likely to be the black-owned Seriti Resources, which recently acquired the licence to the New Largo coal deposit from Anglo American. New Largo is planned to be the supplier to the gigantic Kusile power station (4,600 MW), currently under construction in Mpumalanga. Of late, the platinum mining industry has proven more important than gold. Recent Stats SA figures show that it accounts for 21% of South Africa’s minerals sales, compared to gold’s 15%. But this sector too is battling in the face of global oversupply and depressed prices. 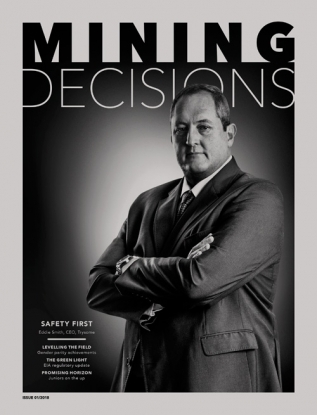 Two of the four big platinum miners have announced sweeping retrenchments at deep-level shafts in recent months. In early August, Impala Platinum (Implats) announced that it would cut 13,400 jobs over the next two years, shuttering five of its 11 Rustenburg shafts and cutting production from 750,000 oz to 520,000 oz. It had already shed 2,500 jobs in the year to June. 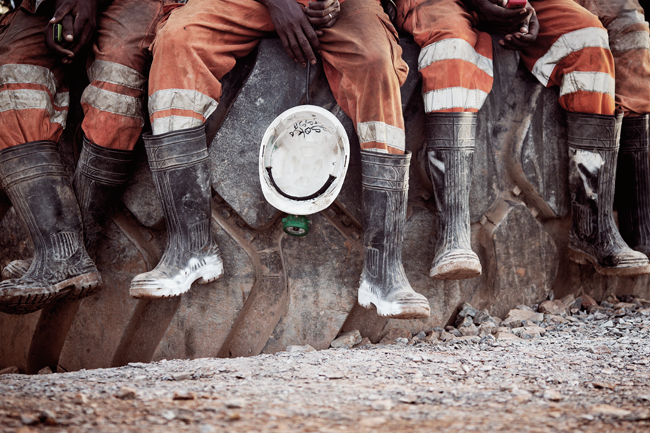 Another big company, Lonmin, which is in the process of being taken over by Sibanye-Stillwater, is already in the process of cutting 12,600 jobs. Platinum mining employed 200,000 miners in 2008. This figure has fallen to 170,000 and can be expected to drop further, to 140,000, once the cuts have been implemented. The Implats announcement enraged Mantashe, who condemned it as ‘careless’, ‘mindless’ and ‘reckless’. Implats’ action, which the company believes is essential to the survival of platinum mining in Rustenburg, throws yet another spanner in the works of the ongoing charter negotiations. Many observers believe that finalising the transformation charter, albeit insufficient, is a necessary condition for recovery. The charter is of course the set of regulations that guides the racial transformation of ownership and management of South African mining companies by setting targets and laying out their expected commitments to communities, labour and suppliers. The industry is currently negotiating the third iteration to replace the 2010 version, which itself succeeded the original 2002 charter. The previous draft – published by Mantashe’s predecessor, Mosebenzi Zwane, a year ago – was widely condemned as both unreasonable and unworkable. That draft was withdrawn last year and replaced by Mantashe’s own version in June. But it is heavily based on the previous draft and has also been widely condemned by the industry. 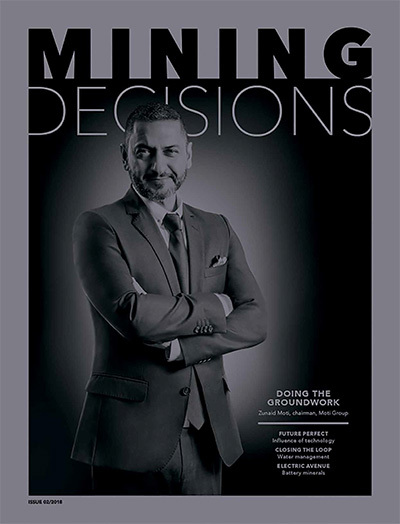 It makes one major concession – that mining companies do not have to continually ‘top up’ black ownership to remain compliant. This provision was taken to court by the Minerals Council for a declaratory decision. The High Court ruled in favour of the council – stating that once a company had met the empowerment benchmark in terms of black ownership, it had to regarded as ‘perpetually empowered’, even if black shareholders cashed out. However, the Minerals Council remains obdurately opposed to another provision that remains in Mantashe’s draft. This is the free carried interest mining companies are required to offer to local communities and mineworkers. The draft charter specifies that each of these constituencies must receive 5% equity in the operation. It also requires that these community and worker trusts are paid 1% of earnings in years where the company does not declare a dividend. This equity requirement is in addition to the 14% that must be owned by black entrepreneurs, increasing to a total of 18% over five years. This 10% free carried interest, the Minerals Council argues, is effectively an additional tax and a disincentive to future mining investment. The negative factors that miners have been complaining about for several years have now come home to roost. The result is a minimal investment in mining, only enough to sustain existing operations. 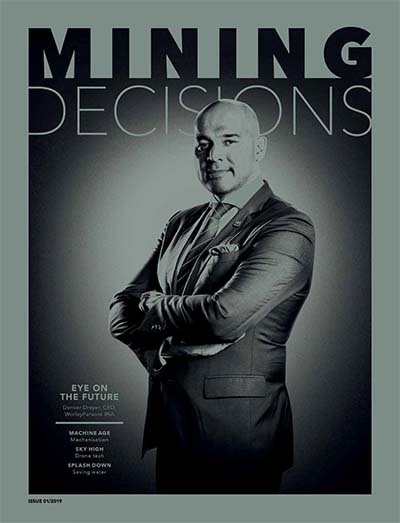 Bernard Swanepoel, former CEO of Harmony Gold and now head of the Small Business Institute, argues that there has been no greenfield mining exploration for more than a year. The problem, he says, is that the provisions of the charter apply also to the high-risk fields of exploration and development. This is simply too large a disincentive in fields that are notoriously difficult anyway. Even established companies – such as diamond miner De Beers, which waited two years for its new exploration licences – have decided to simply sit on them until the charter has been finalised. As the South African mining industry waits for the new charter, it’s in a state of what can at best be described as ‘nervous anticipation’. It should not be expected to do more than maintain its present survival pattern until this key regulation is finalised.